Since the beginning of the year, the 65 families of Brazil's Maxakali people who live in the Verde village in the municipality of Ladainha, in the southeastern Brazilian state of Minas Gerais, have been facing serious health problems due to the lack of sanitation facilities in the area. The community and organizations that support the Maxakali people will request a federal court to come up with solutions, because, among other problems, doctors are needed and there are virtually no sewage systems in the village. These families from the Maxakali people have been living in this area since January 2007, when the National Foundation for Indigenous People (Funai) bought the land to settle the indigenous group in it. There are water springs inside the indigenous area, but they are located up in the hills and there are no rivers flowing through the land to distribute this water. One of the main problems faced by them is their difficult access to water. Most families have no running water near them and the quality of the impounded water they use is not good. At the headquarters of the village, water is pumped from a well by an electric pump (in precarious conditions) to two tanks connected to a hose which should distribute it to the whole village, but this system is not operational so far. In January, almost the entire community became sick. People felt abdominal pains, were vomiting, had fever, were fainting, bleeding through the nose, and were feeling weak, among other symptoms. "At the village, everybody was just lying down, feeling exhausted. Not even the children had enough energy to play," stressed the missionary Gilce Freire, from Cimi's (Indianist Missionary Council) team in the region, who visited the indigenous area two weeks ago. According to a note issued by the National Health Foundation (Funasa) on January 31, the Indians were affected by a virosis and they are already receiving medical treatment. On January 16, leaders of the Maxakali people and organizations that support the indigenous community met with the coordinator of the Special Indigenous Sanitary District (DSEI) in the city of Valadares to demand solutions to the situation. They requested the presence of a doctor in the area, because there are only two nurses working there, but they have not received any answer so far. The Maxakali indigenous community from the Verde Village, the Regional Mucuri Small Farmers' Association, Cimi, and the Federal University of the Jequitinhonha Valley (Teófilo Otoni campus) will report the situation faced by the indigenous people to the Federal Prosecutor's Office. Besides requesting the presence of a doctor, they have been stressing that Funasa should urgently implement sanitation projects in the area to avoid intestinal diseases and diseases caused by parasites, among other measures. Just like in America, we have people living in the inner City slums with no water, heat. Living with Rats, roaches, filth. All with in the sight of the Capital building and the White House. American Oil made BILLIONS in Profits this past year, a record year. And the poor are living in cars, boxes, heating grates. All brought to us by the polities of our government. A country governed by crooks and wana be ! to reduce hunger in their own country….where tens and tens of millions citizens are under nourrished and milllions and millions are nearly starving.. They pretend to be a developed country…..while everything they do is medieval and archaÀƒ¯c. Even the goods they export are basic commodities only. Ohhh but they also try to export their cheating, hiding and lyying….disinformation ! Such as the billion free condoms promised year after year….but not delivered…even close to the promised quantity. But reading the government statements….they delivered their promises by lying openly and publicly without any shame on their face. 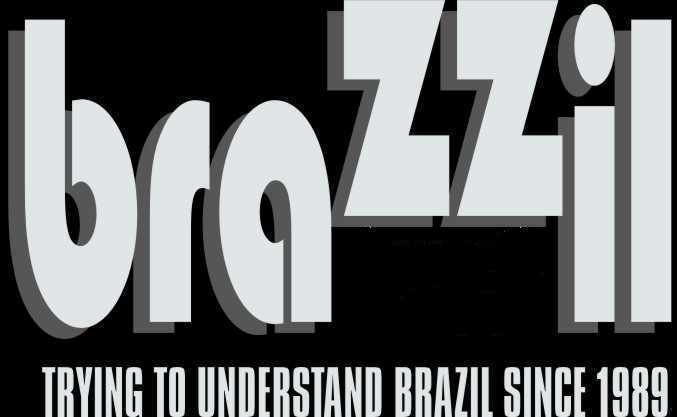 This is lying….Brazilian style…or said differently……the Brazilian truth. Brazil is not a miracle but a mirage society. Everyone trusts……what doesnt exist….but only promised year after year, decade after decade, century after century. Reality being far bleaker, Brazil still harvest their sugarcane manually like they did 300 years ago. What a great NONachievemnent knowing mechanical harvesters exist already for several decades. May be this is what you should do with your grains industry. Go back to manual harvesting for soyabeans, corn, wheat, barley, oats. No doubt you could create millions of new jobs…..for workers just counting the number of beans. Shame to Brazil and Brazilians, the country and society with ALL wild excesses !!!! 1.44%: First Quarter Inflation in Brazil. Thanks to Cheaper Food.